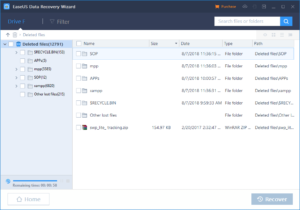 EaseUS Data Recovery Wizard is a useful software that helps windows PC and Mac users recover deleted, corrupted, lost or missing files from their computer and memory devices with ease. The free data recovery software comes with a data recovery wizard that utilizes a simple user interface making it easy for users to quickly scan through their devices and recover lost files. There are free and paid versions of the software on both Windows and macOS. The Free Version allows you to recover up to 2GB size of data. It is a comprehensive file recovery freeware which can also recover files that have been emptied from Recycle Bin, recover data due to format, lost partition, system crash, virus attack, etc. This powerful tool has an edge over its rivals because it can restore files from formatted disk, dynamic disk, deleted or lost partition with original file names & storage paths. A wise PC owner should be wary of data loss so with EaseUS Data Recovery Wizard, you are rest assured that even if you mistakenly delete a folder, file or loss anything on your PC or MicroSD card, you can easily restore them back with easeus data recovery wizard. Also, the Free Edition supports data recovery from hard disk and other media, such as Memory card, USB flash drive, or SD card under Windows 2000, XP, 2003, Vista, 2008, Windows 7, 8. What’s more, it supports dynamic disk and all file system FAT12, FAT16, FAT32, NTFS/NTFS5, exFAT, HFS+ and EXT2/EXT3. This free data recovery software ensures safe and precise format and delete recovery against numerous threats like: Drives that have been formatted or corrupted, missing critical file system structures, file deletion, application crash, computer viruses, partitioning or boot-up problems, damage due to a power failure or surge etc. When the data loss disaster strikes, that’s when Data Recovery Wizard Free Edition does its amazing job. Let’s see some of the basic things this tool can do. It supports all types of lost files, including photos, documents, videos, audio, emails, archives etc. It recovers deleted, formatted or inaccessible data. It recovers lost data from deleted volumes & partitions. It recovers lost data from Windows notebooks, desktops, Windows server, hard drives, USB drives, SD cards, memory cards, and digital cameras. 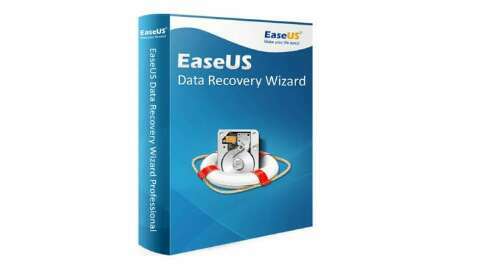 Name: EaseUS Data Recovery Wizard. Supported Devices: PC/laptop, Hard Drive, External Disk, SSD, USB Drive, Micro Card, Camcorder, Digital Camera, Music Player, Video Player, RAID, CF/SD Card, Zip Drive, Pen Drive, Other Storage Devices. Supported Operating Systems: Windows 10/8.1/8/7/Vista/XP, Windows Server 2016, Windows Server 2012, Windows Server 2008, Windows Server 2003. Minimum Disk Space: You need at least 32MB to install this software on your PC. These are the minimum system requirements for installing EaseUS data recovery Software. Where Can I Download This Tool? 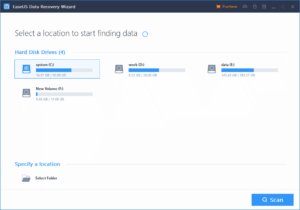 Download EaseUS Data Recovery Wizard from HERE and join others who are enjoying the wonderful features of this tool at the moment.